We work closely with our key partners to ensure we’ve got your business covered. AUB Group Limited is a diversified, integrated company spanning the full spectrum of insurance and risk management. Its 70+ businesses comprise an extensive insurance broking network, specialist underwriting and a variety of risk management services. INPRO is a professional, financial advisory company whose beginnings can be traced back to the early 1980s. INPRO’s advisors bring over 50 years of combined, front line experience to assisting individuals and businesses achieve and resolve their financial goals.  The purpose of the LMI Group is to provide loss management, risk assessment and technical advice to the business and insurance communities. They do this by combining rigorous academic research, continuing professional development, and hands on practical experience, with the innovative use of technology and knowledge management.